The issue in question could be access to 250m dollars. Over the past month, Kyiv's Pecherskyy district court has unfrozen at least 26 accounts of firms associated with ex-President Viktor Yanukovych, the Ekonomichna Pravda website has reported, citing the Single Judicial Register. The case concerns registration documents of a number of companies which, according to investigators, contained false information. The accounts in question may have been used for money laundering. Some of the companies are Askor-Invest, Gendalf, Figaro Evolution, Ecotrade 2016, Fartisima, Farshmag, and In-Tom. According to investigators, they are allegedly owned by Yanukovych's son Oleksandr. It is unclear how much money was in the accounts. 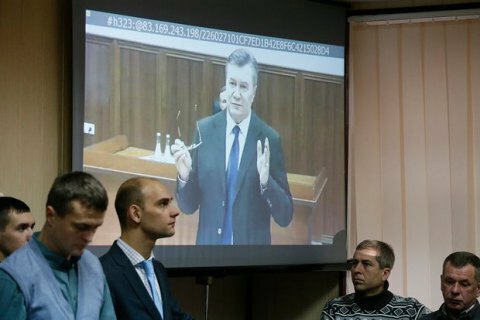 In late November, a source in the Prosecutor-General's Office told Lb.ua that Yanukovych's entourage was seeking to unlock access to 250m dollars. Kyiv's Pecherskyy district court later confirmed releasing the mentioned companies' accounts. However, it added, this happened because investigators did not show up in court. Also, Yanukovych's name was not mentioned in any of the documents, the court said.